Measuring only 2.6” inches tall, the RSB-3 is designed to fit below your TV regardless of wall mounting or table top use. The built-in Dolby Audio Decoder formats all your Dolby content to provide a detailed, powerful cinema experinece. Dual 3/4” horn loaded soft dome tweeters with 90° x 90° Tractrix horns deliver crisp highs. Dual 2.5” oval woofers round out the enhanced sound for clear vocals and dynamic soundtracks. Includes DSP controlled crossover via separate amplifier channels for tweeter and woofer. Klipsch enhanced virtual surround gives you an engulfing surround sound effect without all the additional speakers and wires. 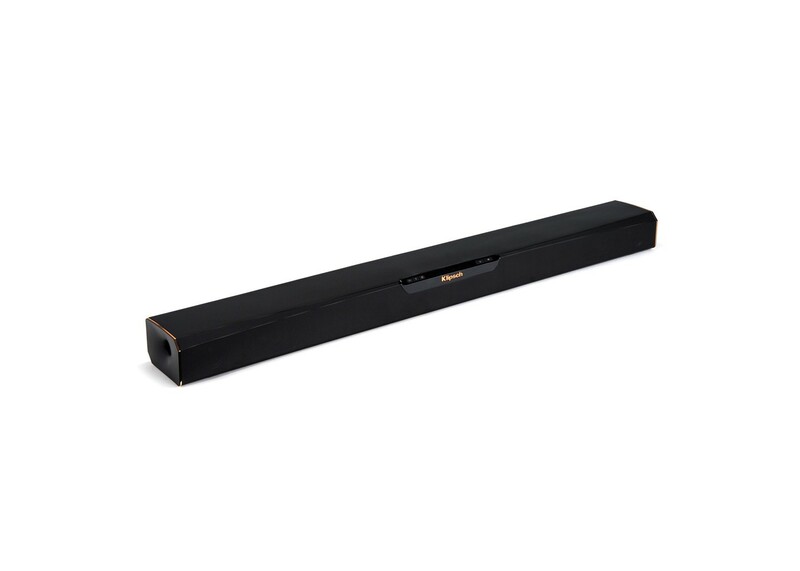 Klipsch Reference soundbars are designed to quickly connect to your television for an instant home theater solution. The built-in Dolby Digital Decoder takes over and allows Klipsch Reference soundbars to automatically reproduce detailed, high-output sound in almost any size room no matter what format of sound is coming from the TV’s output.